Medical Conditions Barbara has a history of depression. 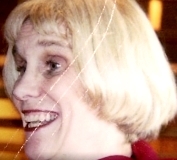 Barbara was last seen on May 17, 2002, after meeting with her husband of 27 years, David Charles Waldron, at their home on northwest Lambert Road in Portland, Oregon to discuss their finances. A photograph of David is posted with this case summary. The couple was estranged at the time of her disappearance; Barbara had reportedly been contemplating divorce for years. She had moved out of their home a month before she vanished and was living with a friend in Beaverton, Oregon. She was supposed to have met her business partner that afternoon, but never showed up. Barbara's roommate reported her missing on May 21, four days after she was last seen. She was employed as a social worker at the time of her disappearance. David was almost immediately identified as a suspect in Barbara's disappearance. Police took a sample of his DNA and searched his home and two cars. They found trace amounts of blood on a pillow in the bedroom, and some of Barbara's belongings, including her purse, hidden behind some books in the library. David says Barbara left their house with a friend of hers whom he did not know. Her 1998 Chrysler Sebring convertible was left parked at the residence and her purse with her car keys, wallet, identification, and credit cards was found hidden behind some books on a bookcase in the home. David told police he did not have the keys to Barbara's car, but one of his sons saw him driving it the day after her disappearance. Police stated David had been uncooperative in the investigation. For three days after Barbara's disappearance he could not be located; he was eventually found in a motel in Washington County. He had cuts on his legs and stomach. David was indicted and charged with Barbara's murder in May 2004. He has no prior criminal record or any prior history of violent behavior. In May 2005, a year after his indictment, David pleaded no contest to second-degree manslaughter in connection with Barbara's case. A no contest plea does not admit guilt but acknowledges that there is enough evidence to convict if the case should go to trial. David was sentenced to more than six years in prison. He stated that he was innocent and took the plea only to spare his and Barbara's adult children the ordeal of watching a trial. He was released from prison in 2010 and is believed to be living in the Seattle, Washington area. Barbara has not been located. Foul play is suspected in her case due to the circumstances involved. Updated 2 times since October 12, 2004. Last updated November 7, 2018; picture added, details of disappearance updated.